Designed to dazzle and to be functional, the Modrest Sherman Modern Ebony TV Stand features a smashing dark coffee tempered glass top and sides. 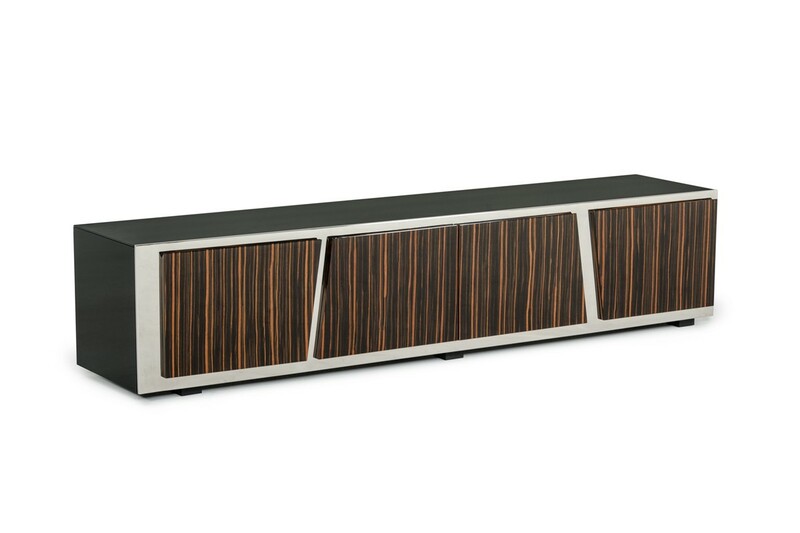 To make it even more luxurious, it features an ebony high gloss finish with stainless steel accents that seem to frame the front of this TV stand. Built with 4 cabinets with doors, it offers you adequate storage for your media items. Four electrical holes at the back assure the safety and unmessy upkeep of your media gadgets’ cables. 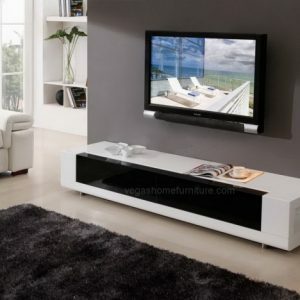 Wood markings on the front added to the allure of this modern TV stand.